While previous visits of Dutch royals to the Pope (and, once, vice versa) were usually perfectly cordial, yesterday saw the first official state visit of the King and Queen to the Pope. Perhaps the time of Dutch political unease with full-blooded Catholicism is now finally completely behind us. King Willem-Alexander and Queen Máxima spoke with Pope Francis for 35 minutes about, according to the Holy See press release, “certain issues of shared interest, such as the protection of the environment and the fight against poverty, as well as […] the specific contribution of the Holy See and the Catholic Church in these fields.” Migration, peace and security were also discussed. The Holy Father also enquered after the couple’s three daughters. As a family, they had already visited him in April of last year. Back in Rome, meanwhile, the meeting between the Pope and the royal couple was noted for its cordiality. Like Pope Francis, Queen Máxima hails from Argentina and thus the three conversed in Spanish. It was noted how the conversation continued for a few more minutes at the doors of the audience chamber, after the official conclusion of the meeting. Pope Francis gifted the king and queen with a medal depicting Saint Martin of Tours and copies of Laudato si’, Evangelii gaudium and Amoris laetitia, and his 2017 Message for the World Day of Peace, while he received white and yellow tulips for the Vatican gardens. Before their private audience with the Pope, the king and queen visited the Church of the Frisians near St. Peter’s Square. There, they were received by Bishop Antoon Hurkmans, rector of the Dutch national church in Rome. Concluding the one-day state visit, the king and queen received a commander’s baton which is claimed to have belonged to William of Orange. Won by the Spanish in the Battle of Mookerheide in 1574, it now belongs to a Jesuit monastery in Spain. It is now on loan to the National Military Museum, where it will be displayed next year. Jesuit Superiro General, Fr. Arturo Sosa officially handed the baton to King Willem-Alexander in the Apostolic Library. Mr. Bolt and his driver were released on Friday the 23rd of June. Before 1970, a retiring bishop would not be given the title of bishop emeritus, but rather be assigned to a titular see, and thus be known as the Titular Bishop of X instead of Bishop emeritus of X. In some cases, a retiring bishop was even promoted to become a titular archbishop of some diocese that no longer existed. For example, Bishop Pieter Nierman, first bishop of the re-established Diocese of Groningen, became the Titular Bishop of Oppidum Consilinum upon his retirement in 1969. In 1970, Blessed Pope Paul VI decided, that a retiring bishop “continue to be identified by the name of the see they have resigned.” Thus the bishop emeritus came into being. Today, not only retired bishops are emeriti, but diocesan bishops who have been transferred to some office in the Roman Curia are also emeriti. For example, the former bishop of Limburg in Germany, Franz-Peter Tebartz-van Elst is now a delegate for catechesis in the Pontifical Council for the Promotion of the New Evangelisation, but is simply known as Bishop emeritus of Limburg. Did Pope Francis today return to the old practice? Archbishop Alfredo Zecca of Tucumán in Argentina retired for health reasons at the age of 68 (seven years before the mandatory retirement age). Today’s daily bulletin duly mentions this, but adds that the Holy Father “at the same time transfer(s) him to the titular see of Bolsena”. Archbishop Zecca is then, at least in title, no longer attached to Tucumán, which he headed as archbishop since 2011. Is this indeed a return to the past, or an indication that Archbishop Zecca can expect another assignment when and if his health permits? Whatever the case may be, the appointment does stand out as unusual. Well, at least I guessed one new cardinal right… With Pope Francis, it turns out that it is exceedingly difficult to see who he wants to see as new cardinals. Today, he appointed 20 new cardinals, the majority of whom will come from places few people will be familiar with, let alone associated with the red hat. In his first consistory he appointed only one cardinal who was not an archbishop, but this time around there are four. This consistory class is perhaps even more peripheral than the previous one, in the good and Franciscan sense of the word. And one of the new cardinals hails from Germany, and has links to Belgium and Luxembourg. Archbishop Dominique François Joseph Mamberti: Appointed by Pope Francis as Prefect of the Supreme Tribunal of the Apostolic Signatura and President of the Supreme Court of the Vatican City State. This office is traditionally held by a cardinal. Cardinal-designate Mamberti was born in Marrakech, Morocco, but has French nationality. He was a priest of the Diocese of Ajaccio, and has a diplomatic career behind him as Apostolic Nuncio in Somalia, Sudan and Eritrea, followed by six years as Secretary for the Relations with States (something like the foreign secretary of the Holy See). Patriarch Manuel José Macário do Nascimento Clemente: Also a recent appointment and a traditional cardinalatial see, Patriarch Manuel has been the archbishop of Lisbon in Portugal since May of 2013. Before that he was an auxiliary bishop of Lisbon from 1999 to 2007, and Bishop of Porto from 2007 to 2013. He is a prolific author and early adopter of social media in Portugal. Archbishop Berhaneyesus Demerew Souraphiel: The Archdiocese of Addis Abeba, which is part of the Ethiopic Rite of the Catholic Church, gets his second cardinal in this 66-year-old Lazarist bishop. Archbishop Souraphiel has been archbishop of the Ethiopian capital since 1999. Before that he was Provincial Superior of his order from 1990 to 1994, Vicar Apostolic of Jimma-Bonga from 1994 to 1997 ad Apostolic Administrator of Addis Abeba from 1997 to 1999. He is also the Chancellor of the Catholic University of Eastern Africa. Archbishop John Atcherley Dew: The archbishop of Wellington in New Zealand stands in a tradition of cardinals: his three immediate predecessors were all cardinals as well. Archbishop Dew was Auxiliary Bishop of Wellington from 1995 to 2004, Coadjutor Archbishop of the same see from 2004 to 2005 and ultimately Archbishop. Archbishop Edoardo Menichelli: The archbishop of Ancona-Osimo since 2004 is not the first cardinal from this see, but he is the first in 110 years. Before this, he was Archbishop of Chieti-Vasto between 1994 and 2004. Archbishop Pierre Nguyễn Văn Nhơn: Sure to have an influence on the relations between the Holy See and Vietnam, the appointment of the Archbishop of Hanoi gives the Vietnamese capital its fourth cardinal and Vietnam as a whole its second. Before his appointment as archbishop of Hanoi, Archbishop Nguyễn (Pierre is his Christian first name, Văn Nhơn his Vietnamese, which comes after the family name) was Coadjutor Bishop of Đà Lat from 1991 to 1994, Bishop of the same diocese from 1994 to 2010, and Coadjutor Archbishop of Hanoi in 2010. Archbishop Alberto Suárez Inda: The first Archbishop of Morelia in Mexico to be made a cardinal, Archbishop Suárez Inda has held the office since 1995. Before that he was Bishop of Tacámbaro since 1985. Morelia, west of Mexico City, is an area marked by drug violence, which may be an indication for why Pope Francis chose to make the bishop there a cardinal. Archbishop Charles Maung Bo: The Catholics in Myanmar are slowly winning more freedom, and see this recognised by the Archbishop of Yangon being made a cardinal, the first in the country’s history. Archbishop Bo has been Archbishop of Yangon since 2003. Before that, he was Bishop of Lashio from 1990 to 1996 and Bishop of Pathein from 1996 to 2003. Archbishop Francis Xavier Kriengsak Kovithavanij: Neighbouring Myanmar, Thailand also gets a cardinal, its second one. Arcbishop Kriengsak Kovithavanij was Bishop of Nakhon Sawan from 2007 to 2009, after which he was made Archbishop of Bangkok. Archbishop Francesco Montenegro: In an apparently clear reference to the Mediterranean refugee crisis, the Archdiocese of Agrigento in Sicily gets its first cardinal since the 17th century. The archdiocese includes the island of Lampedusa, where many refugees from Africa first arrive. Archbishop Montenegro was Auxiliary Bishop of Messina-Lipari-Santa Lucia del Mela between 2000 and 2008, before coming to Agrigento. Archbishop Daniel Fernando Sturla Berhouet: The Archbishop of Montevideo was appointed by Pope Francis in February of last year and will be the second cardinal of the Uruguayan capital. He was Auxiliary Bishop of Montevideo between 2011 and 2014. It is said that one Fr. 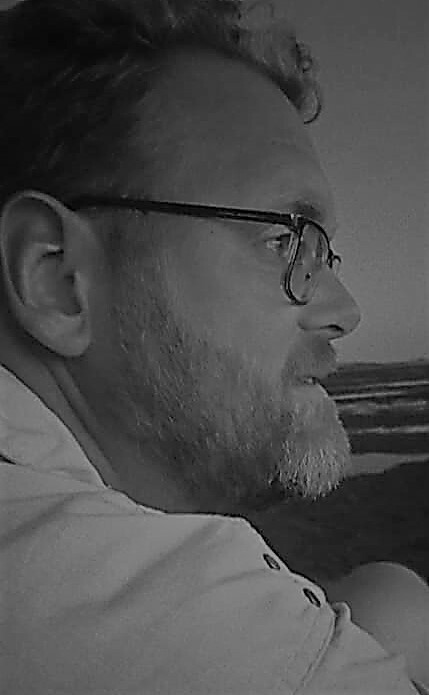 Jorge Bergoglio was involved in protecting Sturla Berhouet from the dictatorship in Uruguay. Archbishop Ricardo Blázquez Pérez: The first Archbishop of Valladolid to be made a cardinal in almost a century, Archbishop Blázquez Perez is the current President of the Spanish Bishops’ Conference. He was Auxiliary Bishop of Santiago do Compostela from 1988 to 1992, Bishop of Palencia from 1992 to 1995, Bishop of Bilbao from 1995 to 2010, and Archbishop of Valladolid since then. Bishop José Luis Lacunza Maestrojuán: Only the third bishop and first cardinal from the Diocese of David in Panama. He will also be the first Panamanian cardinal. His diocese is located in the west of Panama, near the border with Costa Rica. In all senses a peripheral appointment, except for the fact that Bishop Lacunza Maestrojuán is the President of the Bishops’ Conference of Panama. Before coming to David, he was Auxiliary Bishop of Panama from 1985 to 1994, and Bishop of Chitré from 1994 to 1999. Bishop Arlindo Gomes Furtado: From the island nation of Cape Verde, off the western African coast and closely connected to former coloniser Portugal, comes this bishop, the first cardinal in the country’s history. Cape Verde is largely Catholic, and Bishop Gomes Furtado is the Bishop of Santiago de Cabo Verde, the oldest of the nations two dioceses. Bishop Soane Patita Paini Mafi: In the Pacific lies the island nation of Tonga, home to some 16,000 Catholics in one diocese. That diocese’s bishop is now being made the nation’s first cardinal. He is the President of the largest bishops’ conference in the world by territory, that of the Pacific, which covers almost all populated islands of the southern Pacific. Bishop Mafi was Coadjutor Bishop of Tonga from 2007 to 2008, and Bishop since 2008. Archbishop José de Jesús Pimiento Rodriguez: Archbishop emeritus of Manizales in Colombia. He is the first cardinal to come from Manizales and the fourth living Colombian cardinal overall. He participated in all session of the Second Vatican Council. An Auxiliary Bishop of Pasto from 1955 to 1959, Bishop of Monteriá from 1959 to 1964, Bishop of Garzón from 1964 to 1975, and Archbishop of Manizales from 1975 to 1996. Archbishop Luigi de Magistris: Pro-Penitentiary of the Apostolic Signatura from 2001 to 2003, after having been Regent of the same tribunal since 1979. Archbishop Karl-Josef Rauber: The German retired diplomat whose last position, from 2003 to 2009, was that of Apostolic Nuncio to Belgium and Luxembourg. 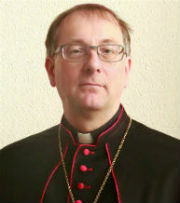 Archbishop Rauber was involved with preliminary investigations into the succession of Cardinal Danneels as archbishop of Mechelen-Brussels and was almost called to explain to the Belgian government what Pope Benedict XVI meant with his comments about condom use in Africa to combat AIDS. 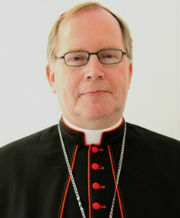 Before coming to Belgium and Luxembourg, Archbishop Rauber was Nuncio in Uganda, Liechtenstein and Switzerland, Moldova and Hungary. He is currently residing in the Diocese of Rottenburg-Stuttgart, where he is active in administring the sacrament of Confirmation. Archbishop Luis Héctor Villalba: From Pope Francis’ native Argentina comes this retired Archbishop of Tucumán, which has never before had a cardinal. He was an auxiliary bishop of Buenos Aires from 1984 to 1991 (before Pope Francis was archbishop there), Bishop of San Martín from 1991 to 1999 and Archbishop of Tucumán from 1999 to 2011. Bishop Julio Duarte Langa: Only the second native son of Mozambique to be made a cardinal, he was bishop of Xai-Xai from 1976 to 2004. It seems that Pope Francis’ focus when it comes to cardinals is on the local situation: he does not feel limited by tradition, but appoints cardinals where he thinks they’ll do good. Of course, the contribution they can make to the Roman Curia is also an important factor, but that body in itself does not warrant the creation of cardinals except where necessary. In this list, several appointment seem to support this: The archbishops of Hanoi, Yangon, Morelia and Agrigento all come from areas where the Church is in some situation of struggle or confronted with pressing social needs, such as drug violence in Morelia and the Mediterranean refugee crisis for Agrigento. And the list of new cardinals is highly representative of the world Church: Africa, Asia, Latin America and even Oceania set the tone, with Europa represented with two Italians, and no North Americans on the list. With the new cardinals, the total College of Cardinals will number 228, with 125 electors among them. That slightly exceeds the maximum of 120 set by Blessed Pope Paul VI, but that is the Pope’s prerogative. Barring any deaths, the limit of 120 will be reached again in February of 2016. The upcoming consistory will include both the youngest and one of the oldest cardinals: Bishop Soane Mafi of Tonga is 53, more than 2 years younger than Cardinal Thottunkal, who is the youngest now; Archbishop José Pimiento Rodriguez is 95 and there are only two cardinals older than he is: Giovanni Canestri and Loris Capovilla. 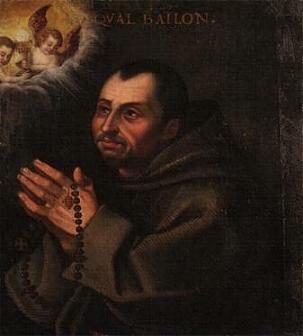 San Antonio in Campo Marzo was the title of Cardinal Policarpo, the previous Patriarch of Lisbon, so the title may be given to his successor, Patriarch Macário do Nascimento Clemente. San Marco has been the title of the Patriarchs of Venice since 1933, so it will probably remain vacant for now. Santa Maria in Vallicella has previously been held by two cardinals from Oceania, so it is possible that this tradition will continue and it is given to Archbishop Dew of Bishop Mafi. San Girolamo della Carità is a deaconry that may be elevated to a title church and given to Archbishop Villalba, as it was previously also held by an Argentinean, the recently deceased Cardinal Mejía.